Yeah, thanks for inviting me a great be at the Chicago CFUG. And, yeah, I'm going to talk about CF Alive, which is the title of a book I published last fall. It was actually released at the CF summit West in Las Vegas. And the subtitle is making ColdFusion modern, vibrant and secure and we'll talk about all those aspects of it. So fabulous. And we go so the roadmap for CF Alive is that confusion is modern. alive. And it's great for doing complex data driven applications. And while some companies have abandoned ColdFusion as dying, you know, more visionary developers like ourselves, have embraced CF and learn how to make it more modern. So more modern, secure. And also, I think if you look at how ColdFusion is used in the most modern web development, departments and shops is the most state of the art web development ecosystem. So we'll look at why that is. Yeah. Hey head. love to have you back on another time. It was a great episode. So. So yeah, we do. I do interviews with ColdFusion developers and CIOs, and we talk about all things called fusion and related stuff. I also founded Terra tech, which is a ColdFusion consulting company. And I founded the CFE united conference, which was a ColdFusion conference around for 11 years. So, as I mentioned, this book was launched at CF summit West, he has me on stage, the keynote for the Adobe conference, launching the book. We can make ColdFusion alive by doing outreach, and marketing. So that's what I'm planning to cover tonight. I will do a QA at the end. I didn't list that in the overview, but happy to do any q amp A. Easier to to get ColdFusion jobs and also to hire great ColdFusion developers. So that's some of the things I think the makeup having ColdFusion more vibrant. So, I mentioned you know, this thing is called fusion dying and we run this annual State of the confusion union survey. 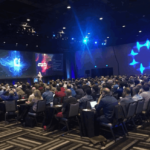 And in last year survey 72% of people when they were asked what aspects of ColdFusion offers, then preventing you or your company from embracing cF 72% listed this as the big reason for them. That was the top pick reason on it. So I guess I put together this little, you know, wild west wanted poster, you know, is ColdFusion wanted and is it dead or alive? So that's the question we're going to answer today. can all make ColdFusion more modern. So number one thing is use the current version of ColdFusion. You know, I've met people who are using ColdFusion nine or 10. And, or 11, or even people using copies in 2016. That's not latest version. So current version is confused in 2018, as I'm sure you all know. And that had, you know, by keeping to the most current version, you get to use more modern features, and you do lose some of the security issues that older versions have. Another alternative to modernize your ColdFusion, if you don't want to buy the upgrade is to go to the open source version of ColdFusion, Lucy. So that's being kept up to date by lots of developers in the open source project. And it's pretty compatible with Adobe ColdFusion. And it has the big advantage that it is free, so great, if you're running a small project, or maybe you have some cloud computing, and you don't know how many cloud instances you're going to have. So has a lot of benefits for that. And also, of course, because it's open source, if you if the something isn't working, you can get in there and fix it yourself if you know enough Java to be dangerous. Some of the other things I think, that are make ColdFusion more modern is, you know, having concise code, I think ColdFusion is pretty famous for having less code to do the same thing that you do in Java, or PHP, or Ruby or some other languages. And that helps it be a rapid application development environment. I think that's one of the major advantages of confusion that you can get things done really fast. mirror for hands raised. I know people who you into the box summit, I was at the last year for United. I was really excited. Right? What's the last one? Yeah, I know. It was very sad when that ended. You know, what can you do when you're financially? Yes, CF Summit East there's even a CF summit India in case anyone that goes to visit India. And then I think NC DEF CON may be coming back this year. I haven't heard from Dan for sure on that. And then let's see if camp in Munich. Let's not forget that for all the European CFS. So lots of conferences. And I just want to give a shout out to Adobe, there was the developer week in San Francisco, about a week ago, and Adobe were an exhibitor that and telling people how wonderful ColdFusion is. So they would out there doing marketing. And they said, a lot of things, people came up to them or either used to do ColdFusion, and didn't realize that it was still around Oh, and they had a lot of new features in it. So successful doing that kind of thing. and update our server. And you know, of this the penetrations that have been done on ColdFusion servers. Often it's the case that hot fixes have not been applied or the server was not locked down. Sometimes it's the case that the code had some security issues in it. And so new features in ColdFusion 2018 that you may be aware of, there's an auto lock down feature that will lock down, you know, most of the important things that still exists the lockdown guide that you can go through manually. And I'd recommend doing both those because the older lockdown gets, like 90% of stuff, but there's still some things that you might want to lock down even more. tools that you can use to improve security this hack my CF, and fuse God and the new one that just came out last week is fixed later. So hack, my CF will scan your CF server and tell you if you got out of date JP AMS or haven't applied into hot fixes or other parameters are not set, right. If you use God is a web application firewall. And that will detect when people are trying to hack your server and prevents it and keep a log of it. And then fix an ADA is a tool that will look at your code and point out insecure line. So bit similar to the Adobe security code analyzer. So those are some of the things you can do on security to make things more secure. And as I said, ColdFusion actually starts out out of the box really secure. So another thing I think makes copies and greatest scalability. 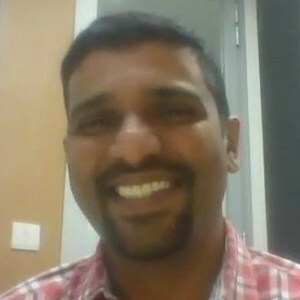 And here are some of the things that you can do if you want to have your app scale if you have a lot of traffic or maybe have unexpected traffic. So first of all, I don't know how many of you look, I've looked at how the coffee and change engine itself runs. But it does a whole bunch of threading. And it does a lot of clever stuff to make sure that things run fast. And I know in cF 2018, they did a whole bunch of performance tuning and they ran it against a set of ColdFusion code they got from customers and wanted to learn code be wasn't written ideally, to run fast, and they got it to run about 30% faster than it did in cF 2016. 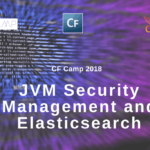 The other thing that is important to do on all your ColdFusion services, Junior JVM, so tune the amount of memory it uses and tune the garbage collector. And that can make an enormous difference on how well an application scales. Your also want to run a a performance monitor fusion reactor i think is the best one there. And that will tell you how much memory and CPU is being used, it will tell you were slow pages are already slow queries. And some of the settings you can actually, you know, restart the ColdFusion service if it's having problems automatically. Number two things on the testing side you can do for scalability is you know, make draw, if you're supposed to run with a million records in the database, then you better have a million records in there for testing, because it may be your various run fine when there's a few hundred records, but when it's a larger volume, they don't. And then also, it's important, I think to do load testing where you simulate load on your site, and make sure that it runs okay under the expected load it's going to have. And then finally, a new thing that people have been doing that's really exciting is using containers. So that's typically something like Docker. And then you can have various software like Kubernetes. And some other ones, I'll talk about it a bit later, that automatically will spin up new container. So container is like a virtual in effect. And you can have ColdFusion running in it. And you can tell it to spin up extra containers when more load comes in. So that's a very exciting way in the cloud of making things more scalable. both. Other advantage you get a Docker as well as scaling is that you set up this container and you can save the ColdFusion configuration, and how it's all configured everything. And then you can share it with a new developer. Because those joining your team you could container, and they don't have to twiddle around setting up all settings. And similarly, if you're pushing the application to staging server or production server, again, you can have it use the same set of configuration. So there's none of this mysterious bugs where you didn't configure something the same way you didn't move the code the same. And then I mentioned Kubernetes earlier. Other orchestration tools are Hiroko and docu so all of those, what they do is they'll monitor your containers and the traffic. And then if a content dangerous getting sick, it'll kill it. Or if you need more, you know, copies of the container, it will fire up extra instances automatically or close them down if they're no longer needed. Some really clever stuff there that can improve scalability and reliability. And just make your whole DevOps life a lot easier than it is with hard, you know, instead of virtual machines, I guess, I guess the opposite of virtual machine is a real machine. That's quite the right phrase. But it was always a lot more work when you had actual physical servers. I'm impressed. That's really good. You are top of the line developers doing that. You'd be amazed how many people just testing straight on production, and then wonder why things aren't as reliable as they might be. got at least eight of us that do of course, we're Wow, big group of us were at the same company. And we do staging servers, Jenkins test box, little skewed but right. It is but I think he's still pat yourself on the back as the creme de la creme of ColdFusion developers, because most people are not doing these cool things so great that you're you're on the state of the art here. in order to prioritize what changes you do this week. at a university or school, you can get a free copy of ColdFusion to do try things out. Or if you're teaching a class at a school or university or college, you can get a free copy for that. So those are cool. I also suggest in the CFO life book, maybe you should come out with a ColdFusion light, that would be free, that would be kind of a cut down set of features they could put out there free hasn't happened yet. But you know, put the idea out there. And of course, Lucy is a free version of ColdFusion. So and having a free version is really important when you're in the cloud, because you're using one of those automatic scaling tools, you know, if it bumps up and suddenly decides Oh, we're going to have five copies of ColdFusion, you don't really want to buy whole, you know licenses for you know, annual licensing on that you'd like to pay by the hour. you know, free to install on the server though, obviously, they have other costs involved. Oh, I forgot to mention some other tools, portfolio, which is a managing all your instances. And then out of interest to you here users command box. So artist all command line. thing that does a lot of cool stuff about seven of us. this is an advanced group. Love it. So I'll talk more about command box a bit later. But it's a really cool tool for speeding up instances works really great with containers. And then I'm guessing everyone here pretty much uses source control. Is that a an affirmative? I hope so. I'm not have 11 developers here who source control? I'm impressed. That's good ones doesn't make mistakes? There you go. That's the other answer, right? Anyway, the most popular source control out there is get because it's distributed. And instead of centralized, and has a lot of cool features in it for branching, and merging back changes. Some common flavors of get a Bitbucket or GitHub, or they they are paid, they have extra features in them for whatever you're trying to do. And then there's also some tools you can use to go front end for doing you'll get stuff so here are some other tools tasks Austrian told us to get any advantage of source control courses is it makes your code lot more reliable. And if you need to roll back to a previous version, it's easy to do. And then if you're doing continuous integration, it's easy to have everything integrated with that. Another way we can make ColdFusion more alive is by the ID we use some I'm kind of curious what Id How many people here use Sublime Text? So we got 1234 people and sublime full. we got to dream members. multiple people use many things. So they raise Yes. you know, your continuous integration, or you know, maybe you can even debug the code from inside the ID. So, lots of cool things to make your environment modern there. Now, what about frameworks? Does anyone here use of a framework in their code? you Yeah. So great. Well, frameworks, right way to keep your code organized. And some of these frameworks a very powerful, I mean, those using code box probably know it, it really puts a lot of stuff together for you, and organizes it. So and I interviewed the CF wheels guys, on the podcast few weeks back, and there's a lot of cool stuff they've got in there as well. I think they did see if we also it's a bit of a different approach that it's um, you know, by configuration. So it kind of by default, it does certain things. And then framework, one is very lightweight framework and deliberately designed that way it kind of gets in and gets out of your way. And fuse box course is the father of all the frameworks that came out, gosh, 15 years ago, maybe I forget when it came out exactly. Maybe more, it came out around 2001. So but still some people use it. seven monitors can use, so they will check that your servers running good. They'll monitor how much memory and CPU it's using, though alert you if it goes nuts. So fusion reactor, they'll be called fusion Performance Monitor that's built into the confusion 2018 and then see fusion? So does anyone here use any server monitor or? nothing. Oh, bit of a CF. Okay, sometimes, but fusion reactor is the main one that people use here. Yeah, so this helps ColdFusion be more alive, because it makes you a whole lot more reliable. And it lets you proactively spot when problems that are happening and address them. And then in the case of fusion reactor, it's got some really advanced stuff, the tracking down where problems are happening, or you can even turn it on this debugging mode, where it you can set a breakpoint in your code on the live production server if you're trying to track down what's happening. So some really cool stuff in there. And then I'm kind of curious that does anyone here use REST API is either consuming more generating them? A lot of people here. Do rust API's? The both? I've looked at it in the past, we're looking to try and do a pilot with it. And then other projects came up, and they kind of put on the back burner. But from what I saw, it's pretty nice. We just didn't have reviews. It's amazing. some of us are trying to do some of that? It's not quite as easy as, but I'm in spirit, we're trying? everything's going to work for everyone. So we got a comment from one of the mass. Find anything really training online, and I find out. He was coming. He was searching in the past for more information API's. And now with 2016, that is finding that information now. So he creates you pointing that out? Oh, well, you're so welcome. I appreciate that comment. Yeah, we publish a lot of blog posts and podcasts and all the podcasts have the full transcript as well. So, you know, say if you try to nail down a particular thing that could find a bit of the podcast was relevant. command box, which is notice, product, this is a great tool, it, it certainly helps you be more productive as a coffee and developer. know any version of ColdFusion, either Adobe or Lucy, and just tell it to go ahead. yep, several of us do. We love command box. We love bread, would we love least moto and they've presented to us in the past on command box and big fans of theirs. Yeah, they do amazing work. I don't know how they managed to do that regular work and do all this open source stuff and put together into the box conference and webinars. I think they must have clones of themselves secretly in the background doing all the extra work, or they just work really hard. So if you haven't tried them on box, it's free to try out. And it really does make life a lot easier. And it talks well with Docker as well. If you if you're thinking you're doing containers. I'm curious, does anyone here use a content management system in their applications? See, some most of us mirror and still use Mira? We've got somebody that used common spot. Oh, yeah, come across. Yes, we played with content box at one point. And the others we've done some home grown. Well, congrats on using a contact management system is definitely if you have a lot of content in your app, it's definitely a better way to manage it and let your end users edit things without it going nuts. And these are certainly all three good ones. I think all three of these, I want to say our open source commerce bought its commercial. I think there's some other commercial ones out there, I've come across too. And they will have different features that are better for this at all the other content box works great with code box, not surprisingly. And then Perseid has a whole bunch of marketing features built into it as well. So cool stuff. But using that helps make your code more modern, and gets rid of all that content stuff out of your code and means it's probably going to be more reliable and have more features. All right, what about the front end? Does anyone here use one of these jQuery reacts Angular review for their front end code? kind of like, Gmail works, right? Or you don't keep going between multiple pages, that all happens in the same page. So these are another way to make her feel more alive by having a more interactive front end. What about object orientation? Does anyone here do object orientated code? Yep, so all of us do. And because we use cold box, we use wire box as part of that. Excellent. As the right answer. put into the right order. So you don't have problems with dependencies. What about RM? Does anyone use RM for accessing that data? obviously, is the database queries going to run at the same speed no matter how you do it. What about package management? Does anyone here used to use box for Xbox I mean, sorry. I don't think they use for Xbox other than maybe grabbing some command box to call box plugins. Well worth checking out, there's hundreds of packages on there, you know, written in ColdFusion for doing different things. So and they're easy to grab through command box. Or if you have something cool you've written I, I challenge you to take a cool piece of code that does something useful, you could share out in the world of forge box. And the advantage of that is, well, first of all, you're giving back to community. But also if you put something out on foot view, forge box, you know, other people are going to comment on it, they might make improvements to it. And I know for myself, when I put code out into the public, I'm usually a bit more careful to make sure it actually works correctly. And it's easy to understand, which is probably a good thing to do anyway. So something to contemplate. To put things down for your books, or check it out, see what's on there. Is there anything you could reuse to save time? yep, I think everyone hears looked at at one time or another. Cool. So I mean, if you wanted to go to a local college and and teach some kids called fusion, you could use that. Or it could be used in a school. Then there's the CF in a week. So training things. There's some YouTube channels, Adobe has a YouTube channel artists and terror attack, both have YouTube channels, lots of training on those, Linda still has ColdFusion training. So lots of things we can do with education to help other coffee and developers improve their ColdFusion or bring new people in. And then networking, coming to a user group meeting or going to a conference or networking online, is another great way to reach out and help people have great ColdFusion has become and what great apps you're doing with it. Maybe you're inspired to teach others. So how many people here in the CF Slack channel? you know what you get out of being in a Slack channel. So the other people who are not in it? Why are you in that? Well, some of us are in it just you go there. You want to keep tabs on the community, what's being talked about any given week, any given day, for if you have an issue you want to research, I got a cold box question, I go to the box channel. So it's a great way to ask questions, answer questions, help other people out, meet other people I know people who've had ColdFusion developer friends, and they've only known them online. And then they go to a conference. And secondly, they meet him in person. So it's great way to meet people. Um, does anyone here have a blog where they write about ColdFusion stuff? could write about it? I don't think anybody blogs I know, we all read a lot of blogs. But nothing. Right? It's the challenge to start is not hard to start a blog. And it's not that hard to say, Hey, I did a cool thing with this ColdFusion function, or I learned this new tool this week. So maybe you know that that's the thought to do that. What about Twitter? Does anyone here tweet? Oh, no. Nobody tweet tweets, no tweets. Okay. What about other social media, Facebook, or LinkedIn or anything else? People use Facebook and LinkedIn? I know they use it for ColdFusion. What about? Yeah, what about what about saying, you know, sharing what a cool thing you learned about ColdFusion or a new new thing you did? Or a bug fixed? or whatever it was, you could share that on social media? Because then you other people in your social circle, see, oh, confusion, that's really cool. I didn't know I could do that. See, if a live podcast, I know Ed has been on the podcast, maybe you guys have suggestions for other people who should be on the podcast, or maybe you yourself would like to be on the podcast. So that's another great way of getting the word out about how alive confusion is. uh, well, that's your opportunity to educate them. know, while you you, what do you tell them? I tell them ColdFusion is awesome. I can build what they can build and half the time. Well, it's good to do that, you know, if we all keep quiet about it, then they're going to continue to be ignorant. So how was made that? Are companies looking for cohesion programmers and having a tough time? finding good computer programmers? That is a great question. That's a common challenge. So we'll, I've got a slide all about that. So we'll talk about that in a few moments. Thanks for asking that. And then the other thing is just show off your apps. You know, if you're if you have an app, you're allowed to talk about and talk it up, tell them you know, say to people you didn't call fusion? And here's some of the cool things you did. You had always continuous integration and automated testing and all the other stuff you did, because to be honest, did you talk to some other developers and other languages, they, they're probably not doing all that cool stuff. So. So this is a way to get the word out there called fusion is cool and modern and doing amazing stuff. Alright, here's a slide on hiring. I forgot where I put the slide. But it apparently was right. Next, I must have read the ladies mind, she wanted to talk about that. So some places you can post jobs into the CF slack. channel has a job chef sub channel. ways come was made bend. Adele has a job board as well. house if you don't think so? I think I think he just has his own. I think there's a charity contribution to somebody posts on there. I'm not hundred percent sure. But I know he's definitely has that. Cool, I will add that ignite is great. And then another way, if you're having trouble hiring is allow people to work remotely. There's a lot of confusion developers around the country. And some of them would love the chance to work for your organization if they were allowed to work remotely and didn't have to relocate to the Windy City. Because maybe they don't like wind or something. that's definitely a possibility there. Right? So mentioned, the confusion can be entity earlier, here are some things I think would make our confusion community even better if we followed them. So this is like a, I don't know what you call this set of guidelines, maybe. And a lot of us already follow these things. But I think if we made them explicit in the community, it would be a good thing. So first thing is giving more new ask, you know, it's fine to ask questions, but it's also good to help other people, you know, there's always someone else we can help. Even if we're just starting out, we can always help out other people. And then having acceptable match manners and being professional when we're online, in communities or in a conference or see if eg, and just being respectful, courteous, others. I mean, one of the things I saw in the past in confusion communities, I used to run at the Maryland ColdFusion user group, and we had a list serve as well as sometimes people get into the flame wars and just little respect and courtesy goes a long way. Related to that is what I call a beneficial reading. So if someone posts something, and it's a bit of, you know, give them benefit of the doubt and assume that they didn't have evil intent. So they need beating up. Perhaps you misread it, perhaps they were having a bad day, perhaps they typed it wrong. So that goes a long way. And I think it also helps in coffee community if we share our own experience versus giving an opinion that's not based on our own experience. And that kind of grounds things back down in practicalities, because no one can really attack my own experience. But people have different opinions often leads to arguments. And then obviously, not all of us have the answers. In fact, none of us have all the answers all the time. So, but the way to deal with that is to make sure you ask your questions in a great way. So tell people, here's what I tried. Here's what happened. Here's what I've tried looking up online, those are all ways to ask a great question. are always very happy at all with developers and hear about things they like, or things they'd like to see improved, or other cool ideas and examples. So go ahead and talk to them. Several of the folks at Adobe have pretty public emails as well, so you can email them to. So those are the things I put down, I think it would help improve the ColdFusion community and make community more alive and hence the language more live. Alright, so talk about outreach, let's talk about marketing. And some of this was directed towards Adobe and Lucy, but some of it is also directed to us. So I think it was be great if there was a lot more PR, about ColdFusion. So people are doing other languages here about ColdFusion more. maybe if Adobe or or user groups, what if we organized a hackathon? And like, Okay, how quickly can we go this thing? Maybe it's competition between ColdFusion and another language to see, is it really true even to do stuff quicker and ColdFusion or better. And then I think it's important we evangelize called fusion, each of us. And I, you know, I think it would be good if Adobe and Lucy had an evangelist for their flavors, a ColdFusion. And then, you know, use talk about ColdFusion and social media use the hashtag coffee town called fusion. To get the word out on it, I've been doing that I encourage everyone else to do that. You really don't, you know, you can just say a little when you had today or something new you learned or some news you heard, could be all kinds of things. And then the final thing, and this is something I've trying to figure out what to do about, I was talking to Kish or Adobe, he's the marketing manager called fusion. And he said, when they surveyed users, there's about three times as many websites that use ColdFusion, that are hidden, you know, the internet, so extranet, they're not public websites. As there are, you know, public websites that you can tell they're using called fusion. So it's like an iceberg, there's, there's some public things that you can tell a ColdFusion, there's also public sites that they so well hidden, you know, they don't just play, I mean, you know, few not so many people display adults, the FM extension on their URLs, you know, a lot of times it's just using directories like using called box, that's what it's going to get. Sean is not going to show the dots, the FM or extension. So sometimes it's hard to tell something has been written in ColdFusion. I think it would be good if we had like, you know, proudly written in ColdFusion logo, we can stick on our sites about page or something. I know when a layer had called fusion, they have powered by ColdFusion, that you can stick on your website. So we need to come up with something for that. And that's just a subtle way to do some marketing on the language were using. teaching other people about ColdFusion or social sharing about it. 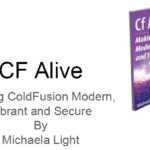 Or maybe you've got your own suggestions on how ColdFusion to be more alive. So let's have a look at that. So let me ask you some questions. And you can think about these answers. Maybe people will have some comments. So what would it take to get 10%? better results using modern ColdFusion this month? So that's the question you can ask yourself, Is this some things I've seen today? or other stuff? I know, so I could get 10% better results in my applications using more modern ColdFusion? And if you're not using one of us, what would it take to get started with modern called fusion today? What some small thing you could do, just to make things a bit more modern? What would it take to try out a new ColdFusion tool this week? You know, there's dozens of confusion tools out there, you've probably not tried all of them, maybe you could just tweak around with one the haven't tried. And then on security, what would it take to make your call fusion code and server even more secure and is now you know, maybe you can run one of those lockdown tools, or maybe one of those third party tools like hack my C, F.
And make everything more secure? And then the final question, this is something I asked all my podcast guests, what would it take to make ColdFusion more alive this year? So I don't know if anyone has any thoughts on that. I'd be interested to hear what you think would make ColdFusion even more alive. the raw thank you would it take to make ColdFusion more live this year? 32nd. Spot the Super Bowl, I think we could afford that. a good idea. And they don't have to be long. It could just be a small tutorial on just a small feature. I think everyone's digesting what you what you presented to us. Yeah, you've had a big three course meal and you you probably need digested. Alright, well, here are some things to help you in your digesting. Once I got to see fly. Oh, yeah, go ahead. I'm sorry, go ahead. heard all that one of the comments was one of our members, when she was looking for a job or one company was migrating away from ColdFusion. So she's looking for a new job. Seems like most of the job she found were not for ongoing development, but for short term migrations to go from cohesion. to.net or something else. As she was looking for full time confusion. Definitely, she really couldn't find anything. It took her a long time to find something. She actually had a switch states where she lived to find a ColdFusion job that was a permanent, ongoing cold you should not just a migration. Men, she found a nice company that does all ColdFusion. And yeah, it is tough. Again, well, congrats on finding it. 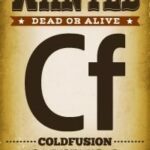 So I mean, part of the whole thing of this ColdFusion alive is educating managers in companies, you know, CTOs and CIOs or directors of it, the ColdFusion is alive. And, you know, it's a great language to use. Because, you know, if we just sit on our backsides and don't do any promotion ourselves, you know, the fear, uncertainty and doubt machine and Microsoft is going to run and tell people.net.net don't know. And there isn't any great technical reason, I think, to go to.net It's a political choice people make. So the commentary that some companies will like I say, people take their solution to a company and say, Look, what we can do to solve your problems. And I practically knocking on doors and trying to get inroads to try and convince them that way, is basically being very present active, instead of reactive to all you need something we might have a solution was supposed to here, let us solve your problems for you, and on a better way. town, Washington DC is not do that by having done it. It's way north of free. into thousands of words of articles every month about ColdFusion on the Terra tech blog, we put out a bunch of videos on the YouTube channel. And then we post about ColdFusion on Twitter, and LinkedIn and Facebook. So I just did a post on LinkedIn, about security and ColdFusion that got a lot of traction, pointing out that it really is the most secure language out there. So. So hope See you on some of those different social medias or groups. And I guess we should open up for regular questions. And I'm probably going to stop the screen share so we can go back to the regular view. So somewhere we have me. any other. Any on full screen. There we go. We see folks site does, but I don't think our meetup does, but we can look into that. Yep, so a question is, what's your thoughts on ColdFusion on Amazon Web Services? I don't know they are a terrorist offering? 2018? I think he's talking about hosting on ColdFusion 2018 on Amazon. think they're asking if you had any experience with not your do it yourself, but just getting from somebody else and how that's worked out for you or the view heard all that's worked out for people? Well, I think it runs fine. Technically, I, I don't like the way they license it myself. but is it because the main invite one of the not the main about it, but one of the advantages of cloud is you can automatically scale stuff, and you really don't want. If I was automatic scaling stuff, I wouldn't want to pay for like 10 license 10 annual licenses, if I was going to use the thing for like, you know, six days out of the year, I'd rather pay proportionally. So hopefully one day Adobe will get that message. That's how cloud software is supposed to work. But mean, I think that I heard me. But the problem with large companies is that there's often a lot of lawyers embedded in the large company. Kayla, you mentioned the ACF training at universities. Are you familiar with any success stories coming out of that offering? I'm not and that's a great question. 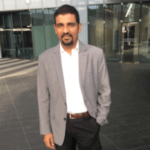 I'll ask Kishore next time I talk with him. I think, I think one of the things is they they provide the training materials for free, which is great. But I think there needs to be more outreach. And like you're saying follow up to see how it's doing and have some success stories or interviews or testimonials on the cool stuff people have done with that and where they've gone after they've taken the training. So that the could be a great set of articles or video testimonials. that's why they're asking. They don't know any? I think it's important that we do get out in schools and universities. is we were talking about conferences, and I know, CF objective was kind of trying to decide whether they were going to continue on and last I heard they were going to try to have it. Conference this year. Have you heard anything? I haven't we have asked them because we'd like to blog about it. Because we made a blog posts like what are the ColdFusion conferences of 2019? So we haven't heard back. I think they were thinking about a different location. It's been a while since I've communicated with them asking. Yeah, well, if you hear anything, let me know. We'd love to share that news. You know, great event. I think they had they had some issues moving to DC. So far as I know, as far as in the United States, the only for events are CF summit Eastern West into the box me con. I don't think we are cons happening this year. Because I talked to them about that. And then NC DEF CON. I thought NC def on was potentially happening this year. I think Dan had some personal problems last year, who runs it? But I thought it was going to happen again this year. But I'm not. I haven't heard for sure on that. You haven't checked their website recently. So I'm not sure. that's a lot of work as you very well know. Love to do a Chicago con. Well, maybe maybe it's just an extended ColdFusion events and afternoon thing instead of a whole conference. Yeah, that's true. Well, we'll do something i'm not i'm not saying you should do it. I'm just saying that's an option for anyone to run to use the group that you could get together on a, an afternoon, either during the week or the weekend. Do some, you know, have some talks and have some other you know, have some panel discussions? Or have you can have a hackathon? Yeah. No, actually, my company just had a hackathon here last week. Really internal to our developers. But the business? When are you going to share about this? wow, is a great thing. I think we should share that out. So people and other companies do the same thing. Yeah. Maybe we could try me that can be a positive idea. Absolutely. Love to interview you about that. Great. Anyone else have any questions? Comments? They love the Yoda. You're behind you. Oh, yeah. Hi, Yoda. He says there is no try. There's only do or not do help. Little favorite saying I have I try and avoid using the word try. I mean, they're going to do it or I'm not doing it. Just changed it up. Try that come to see us do.com. There you go BCF to do. The net ladies finding that finding the horse horse to do in the program. And then I think I'm going to offer I'm sorry. So we've got an autographed copy from Michaela of the CFO light book that she was talking about tonight. It's also an Amazon does that's for print. It's also on the Kindle. I am personally going to offer to buy anybody that can know version that wants it tight only God let me know after the meeting. Know you just bought a joke our generous. and what I was gonna say if anyone has already bought the book, or if you're getting it tonight, I'd love if you're able to leave a review on Amazon, because that's how the ColdFusion developers can learn about it. saying if you're a podcast listener, and you like the CF, like podcast, leave a review on iTunes. And oh, yeah, absolutely. I need to do that. Is there any place else besides iTunes? those us good, all good places. And subscribe. You know, if you like the YouTube videos we put out from the podcast and subscribe to the YouTube channel. Might be a great CF Alive inner circle post reminding us how to do that. Good thinking. Cool. Well, thanks for organizing this. Thanks, everyone for coming. And yeah, I'd love to if you have any. If you have any more thoughts occur to you then. You know, send them to me. Either you can send them on Daniel or you can just contact me directly on the Terra tech site on social media or email. I'm certainly going to encourage everyone to join the CF inner circle CF Alive inner circle. Facebook. If you're not we'll talk about that after this. keep growing growing the community as well. a great night. Thank you very much.